Grab 6 Hot Reports That All New Marketers Need To Read Before They Start An Online Business! Why it is SO IMPORTANT that you do your research before buying web hosting! Just like any other purchase... YOU GET WHAT YOU PAY FOR! You will learn why you should never decide on a web host simply because they are cheap. Not all web hosting companies offer the same services. 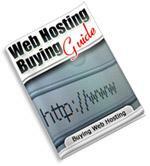 You need to know what you want to do with your site before buying hosting. What type of hosting account do you need? You should consider any possible future plans for your site so that you can avoid the painful process of moving your site to a new host in the future. Features and services are good to understand... but you also need to learn about other crucial factors which make up a good web hosting company. One of the most important aspects to a great web host is good c_______ s______. Without it, you could end up with a major headache if/when you run across any support issues. Several resources to help you research potential web hosting companies to see what others have said about them. 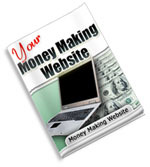 Monetizing your website does not have to be hard. By simply adding a small ad to your site, you can make a nice side income. How to properly use Google Adsense ads on your site to maximize your earnings. As well as several other pay per click ads that a lot of people are not yet using. What "Cost Per Action" offers are and how they might be perfect for your website. Some site owners are making a killing using CPA ads. Will that be you soon? It's important that you choose the right affiliate program to promote. You will learn how and where to find a good affiliate product. Did you know that one popular monetizing tactic can destroy the integrity of your blog if you aren’t careful? You will learn what tactic that is. Several resources where you can go to sign up to become an affiliate/publisher to promote almost any kind of product or service. Finding the right ad won't have to be hard with the resource list included in this report. The one money making tactic that almost everyone knows about, but for some reason very few people take action on. This one method can take your online business to great new heights! Why the Internet marketing scene is growing everyday and why you need the right tools to compete. You won't make any money unless you have something to sell. You will learn what type of web site and product you should sell and where you can go to get it. Without a d_____ n___ and w__ h_______, your site is dead in the water. You will learn where you can get these to keep your site live and active for the world to see. Do not fall for the "free" web site offers, as they often will only end up hurting your online business. Instead you will need to have your own site up and running. You will be shown where and how to do that. A very important tool that all serious online businesses need, yet a lot of them are missing. You will learn what it is and where you can get it. It could literally mean doubling your business overnight! You need to make money, therefore you need some way to let buyers pay you quickly and easily. You will discover what some popular payment processors are and why you might or might not want to use them. Several online resources to get you up and running quickly, but also allowing you to grow and keep making profits for years to come! Exactly why you NEED targeted traffic to your web site... and why plain traffic just won't cut it anymore. You have to know the objective of your web site and make it clear to your visitors before you can maximize your conversion rate. Understand where to buy targeted traffic without being ripped off! An amazing way to get Free targeted traffic that can sky rocket your sales and the success of your web site! Social marketing web sites are HOT! You will learn which ones can bring you a lot of targeted traffic. What you can do to get your visitors to come back to your web site. 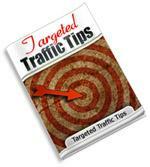 The ultimate repeat targeted traffic tip! What you MUST be doing every day to make sure that you are not wasting your money or time advertising in the wrong areas! 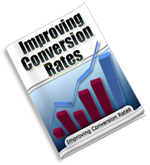 What conversion rates are and why by improving them you can see a great increase in your profits! Why it is important that you have one purpose per page. One call to ______ on each page can help you to improve your conversion rates. Why being different can be a very good thing when you are trying to sell a product online. You will learn what you can do to make your product stand out! How to find out what your market really wants so that you can target your product to them, and have amazing conversion rates. How and why you need to build trust with your potential customers. If you don't, you won't sell a thing. Testing is so important! You will learn what to test in order to find out what you can do to keep increasing your conversion rates. Why you need to put yourself in your customer's shoes. You won't increase your conversion rates if you don't understand what your customers want and need. Why teleseminars work and why learning how to host one properly can give a great boost to your online business. Teleseminar are not that complicated to host, but you do need to plan it to make sure that it's not a complete failure. You will learn how to do this the right way! 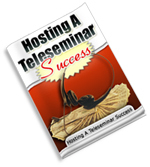 Choosing the right teleseminar service is essential to hosting a good teleseminar. You will discover some of the more popular services and which one might be perfect for you. The most important aspect to running a good teleseminar is the content. Without good content your teleseminar is worthless! Learn what type of content you need for your teleseminar. Find out if you need a quest speaker or not and how they can help you create the content for your teleseminar. 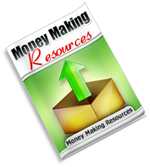 7 money making ideas that you can use to boost your sales using the teleseminar. How you can make money with your teleseminar! 10 very important steps that must be taken to ensure that your teleseminar goes smoothly and everyone enjoys it.